Make it fun – not cheesy! One of the questions I’m asked most as a professional family photographer is just how do I manage to capture natural smiles? You’d think something we all do naturally shouldn’t be that hard, but let’s face it – it can be really hard, particularly with kids or for “posed” portraits. 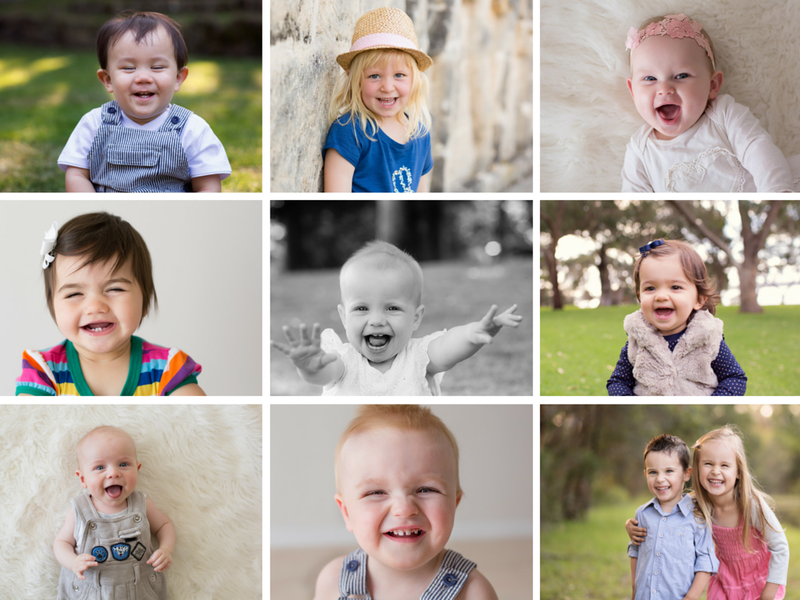 I have two simple rules that will give you the best chance of photographing natural smiles. Rule one: You have to make it fun! Yes – It’s really that simple. Keep it positive and don’t ask people to say cheese or you’ll only get that fake square smile, particularly off kids. If you’re photographing your kids you need to work extra hard, make it a game, be silly, crack a joke and no matter what you do, don’t get frustrated and bring out your “parent” voice – it just doesn’t work for photos! Instead, be as silly as you can. Try acting the clown or cracking a good poo joke. Seriously, poo jokes!! They work almost every time on almost everyone! Keeping it fun is especially important if your first problem is that your little one doesn’t even want to stand still for their picture! Rather than rattling off instructions like; “Stand here” “Stop wiggling” and “look at me!! !” Give them something fun to do instead, something to focus on that’s not having their photo taken like looking for the dolphins, bugs, shells or throwing leaves or snow. With older subjects, the same goes, relax them, chat, ask about their interests, don’t take the shot while they are talking, but the smile after. Channel your inner boy scout and be prepared BEFORE you attempt to wrangle the subject. Make sure you’ve found the right light, angle, backdrop and your camera has the right settings, even take a test shot or two to make sure the light is right and the exposure spot it, and then, and only then, call in your subject. Nothing brings on the fake smile faster than having to wait while you fix your settings, or worse, missing the magic and having to redo the shot over and over again.